The classic chunky chain, but better. 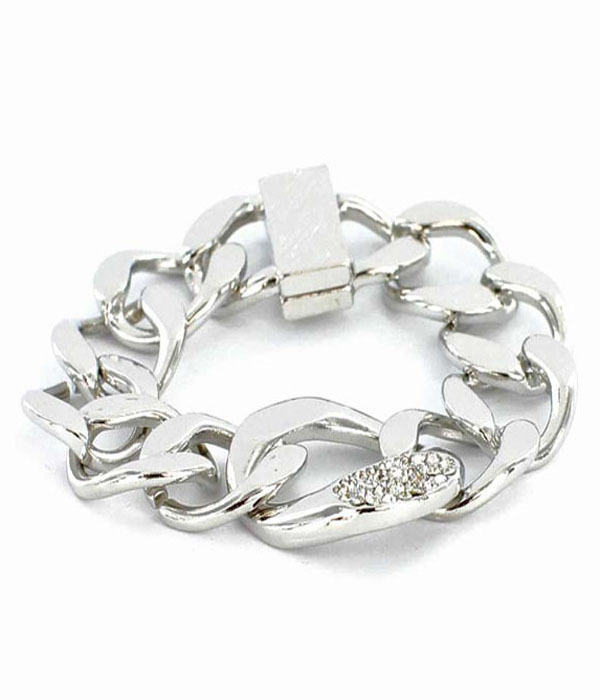 The Trista bracelet is an irregular chunky chain in silver-plating laid with a sublime cluster of sparkling set-rhinestones. Featuring a box clasp fastening. An essential. Be seen wearing this fabulous fashion accessory item, compliments are sure to follow!